On cold wintery days, sometimes a little extra heat is needed and this recipe I adapted from Diane Seed’s book Favourite Indian Food certainly fits the bill – Chettinad Chicken Pepper Fry. It’s inexpensive and very easy to do, after a little bit of preparation you can just leave it simmering for half an hour. The original recipe will blow your socks off which is why I lightened the pepper load slightly but go for it if you’re feeling brave. The dish originally comes from a restaurant called The Rain Tree in Madras, Southern India, where the Chettiar community cook mainly vegetarian food. This meat based dish was considered food for travelling warriors! It’s swiftly made so if a warrior does happen to drop by your house one evening, you could rustle this up in no time at all. Heat the ghee and fry the onions, garlic & ginger until they start to turn colour. Add the spices and continue frying for a few more minutes then pop in the tomatoes and a pinch of salt. Turn down the heat and keep stirring, after a few minutes the tomatoes will have softened. 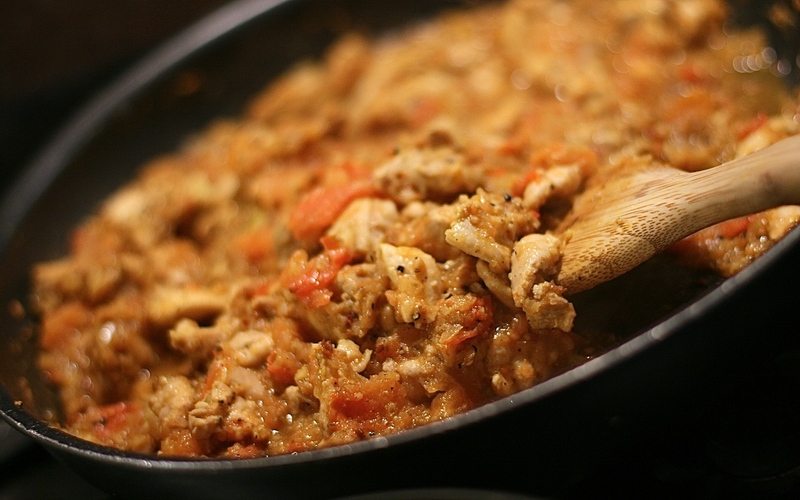 Add the chicken pieces, stir and coat thoroughly with the mixture, cover and simmer on a low heat for approximately 30 minutes, stirring two or three times. 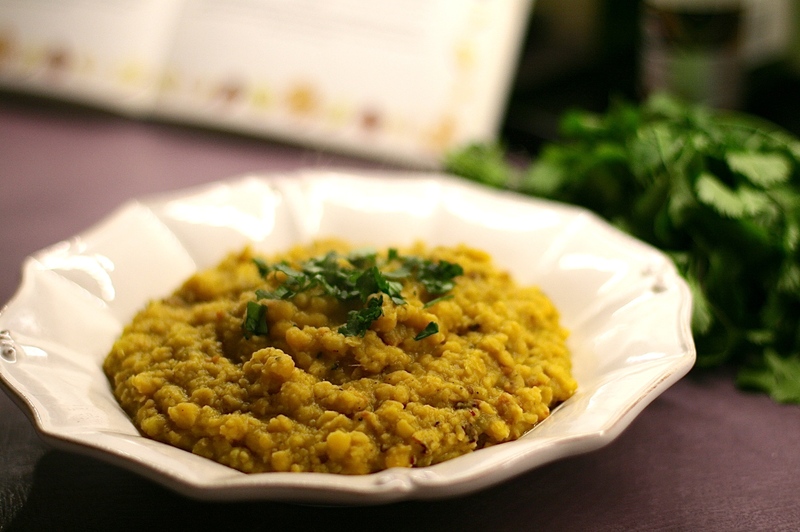 Serve with boiled rice or as I did, with pittas, homemade dhal and fresh coriander for a delicious winter warmer.